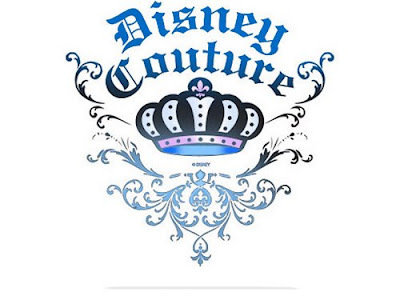 Disney is expanding its "Disney Couture" line across the pond. The clothing line which appeals to the uber-rich with money to burn goes global. Now the uppercrust of Europe can have a taste of the high-end designer wear that major American celebrities pay big bucks to have. Give me a break with this "Walt" business. The man is gone. You have no idea what Walt would have done in today's world. The world in which he lived was totally different both culturally and financially. Disney likes it both ways. They want you to think they're a company that cares about heritage and history while also being innovative. Somewhere in their philosophy is a conflict that seems to divide the fans. Since you're privvy to Walt's thoughts... Would he approve of this blog? The way you gossip about the script purchases is tabloid journalism. I'm sure Walt would have "loved" that too. The problem isn't Disney making overpriced t-shirts. The problem is that "fans" like you are playing armchair businessmen. You act as if this idea isn't within Disney's values. If you've spent 5 minutes in a Disney theme park, you'd know that one of their strengths is up sales for common goods with characters on them! This kind of bias is typical of this blog, which is why it needs to be addressed. After all, anything where people wear a suit and make money is obviously evil, right? Geez, I wonder which division needs to make more money? Disney keeps having to expand its offerings because that is the agenda set upon them by the shareholders. Any publicly traded company needs to have growth. If you think they should be spending more money on movies than designer t-shirts, that's fine, but consider that there is a higher profit per dollar in consumer products than the other outlets. I see the underlying issue in the post. Its about economic class. I don't know if offering products to a richer customers is a bad idea considering retailers, such as Walmart & The Disney Store, already oversaturate the other end of the market. If its a success here, why not expand it? If you are suggesting Disney curb expansion to maintain integrity, you've lost that argument half a century ago.